Sub, A harmonic adjustable square wave, with a relative overtone adjuster. Sawtooth with an ‘Ultrasaw’ adjuster. Square with a ‘Pulse Width’ adjuster. Triangle with a ‘Metalizer’ adjuster. Next door in the Filter settings, you can tweak the knobs to mark your cutoff frequency, resonance amount and ‘brute factor’. You also have the ability to select between a HP, BP or LP filter. Underneath that, the control panel includes an LFO, and an envelope that can be triggered from any other source on the board, using the routing matrix in the upper-right hand corner. The back comes with a MIDI input, a USB input, 1/8th inch I/Os as well as a 1/4 inch line out. 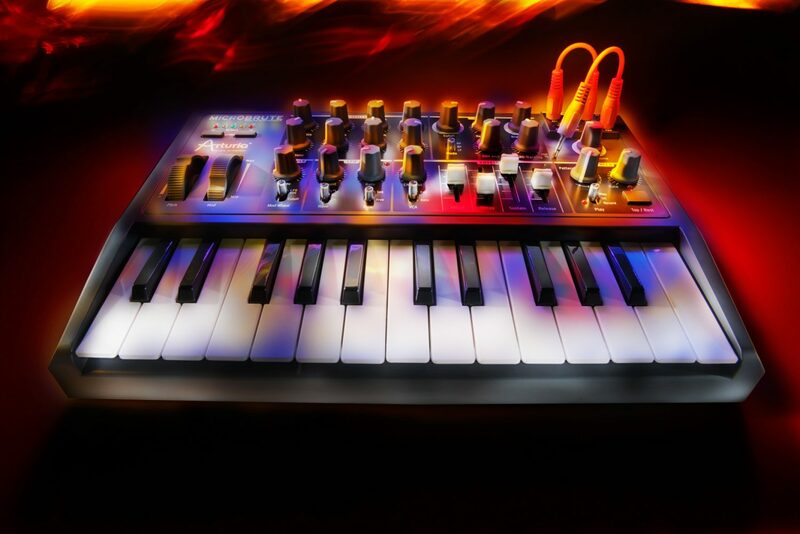 Overall, the MicroBrute was designed to pack a punch and add life to your synth sound. Plus you have the versatility to use it in either a recording, or live situation. The controls seem very basic, and much like those used on any other synth, but just as any instrument, the true life of the sound is based on what you hear. 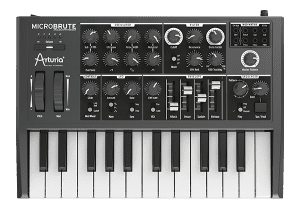 The Arturia MicroBrute is being offered in the $300 price range, and is available to ship to your door starting November 1st. So go try it out, and then tell me what you think! 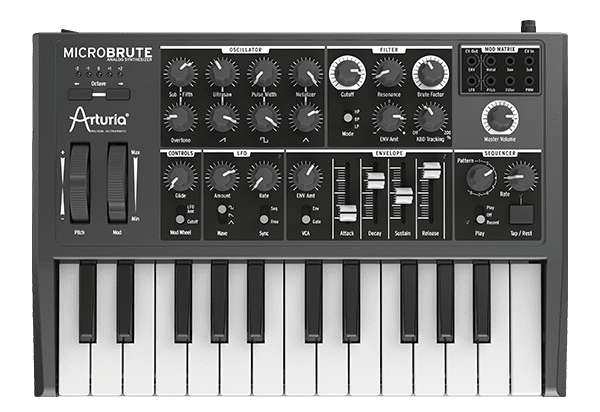 The Microbrute will be available November 1st, but you can still check out the Arturia Minibrute here!